2×4 round pin first ride review with darshan gooch from Stretch Boards on Vimeo. 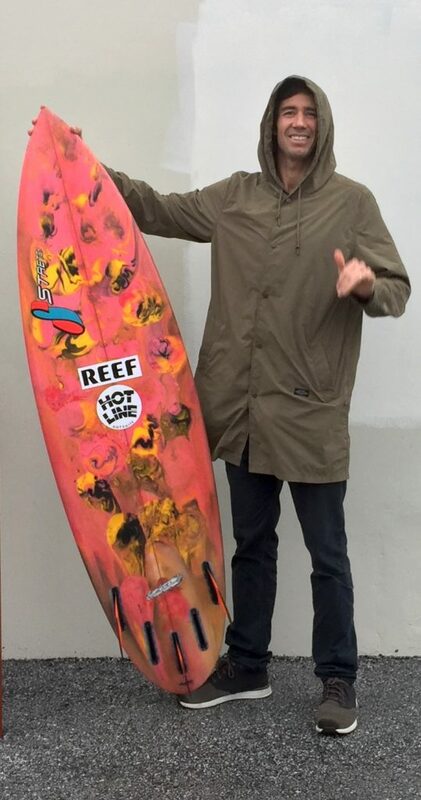 6’2″ x 19.25″ x 2.375″ shown with abstract color lamination and futures AM2 techflex thruster set. Wintery types of CA waves varying from chest high to several feet overhead. The initial idea when ordering this particular 2×4 model was to find the performance differences between the THINGv2 and 2×4. We basically kept the dimensions and construction completely the same. I would imagine a fair portion of people ordering the 2×4 may have ridden it a little bit shorter. 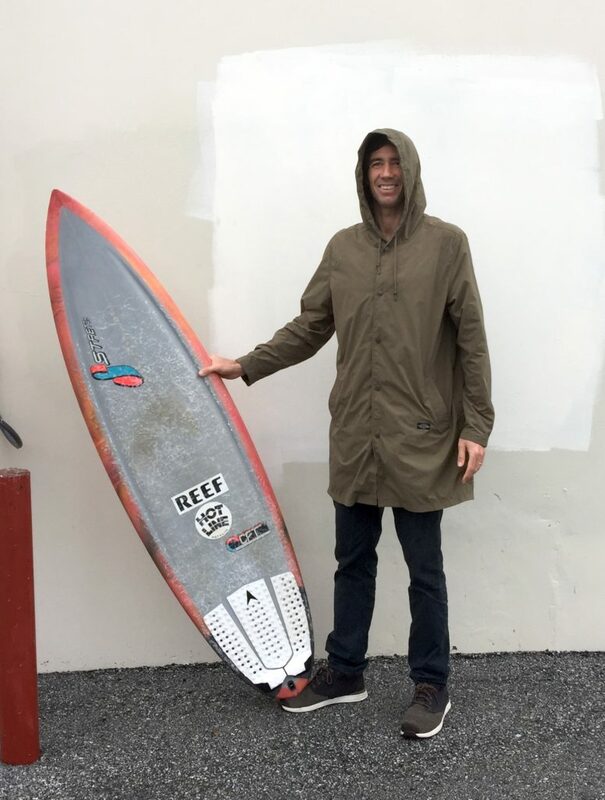 Considering the time of year and lack of any contemporary tri or quad fins available in my quiver, I thought I better get with a board that could not only fill a missing link in my quiver, but also a board that would be adaptable in the decent to good wave category. One of the strong points of this particular board is it’s fairly adaptable. 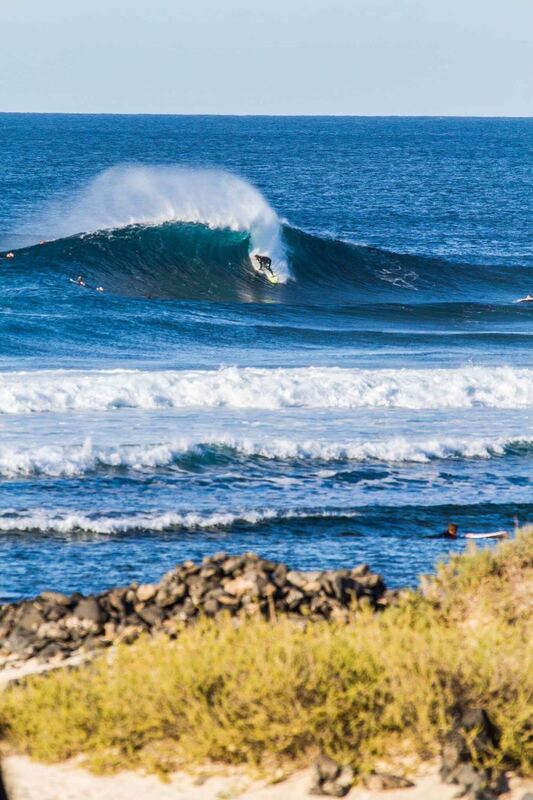 Beach breaks, Reef’s, Point breaks, anything with enough juice to get you going and some space to move around. I had a couple great surfs on this board in hollower/down the line type of waves where I rode it as a quad. The majority of the time i rode this board as a tri fin as the waves on offer around town this time of year seemed most suitable. I think there is something to be said here about adaptability and having a board you know you can rely on. 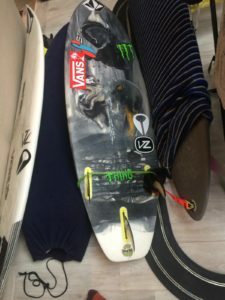 The only dislikes worthy of mention would be my own personal limitations from prior lack of interest in contemporary shortboards, This resulted in issues of the balance, timing and rhythm department of my own physical doing. In comparison to the single concave throughout the THINGv2 , I felt there was a little more excitement or eagerness of availability on the back foot that felt like quicker rail to rail transitions. I’m torn between the 2×4 and the THINGv2 at this point. 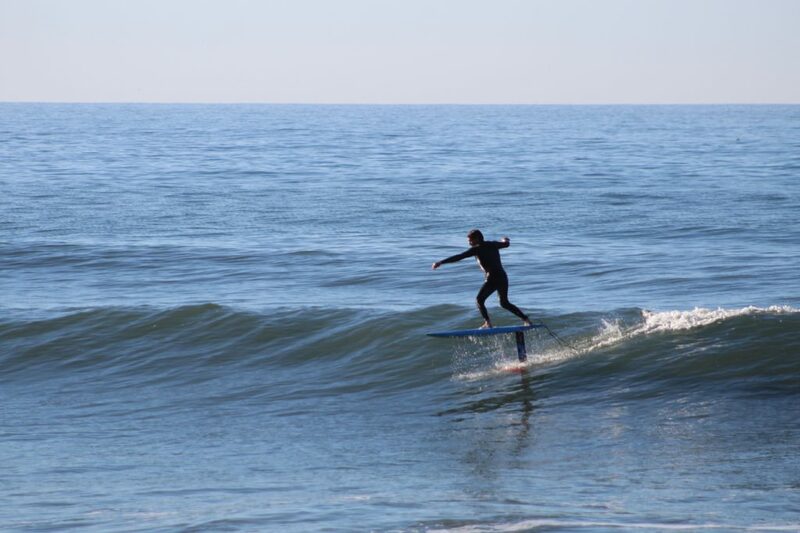 If I primarily rode contemporary shortboards on a regular basis, I may be leaning towards the 2×4 due to the liveliness available off the back foot. At this point in my limited use and interest in “shortboarding” on a regular basis, I would probably lean more on the predictability and control that the THINGv2 offers. I can only account for the slightly longer version being consistent with it’s description. 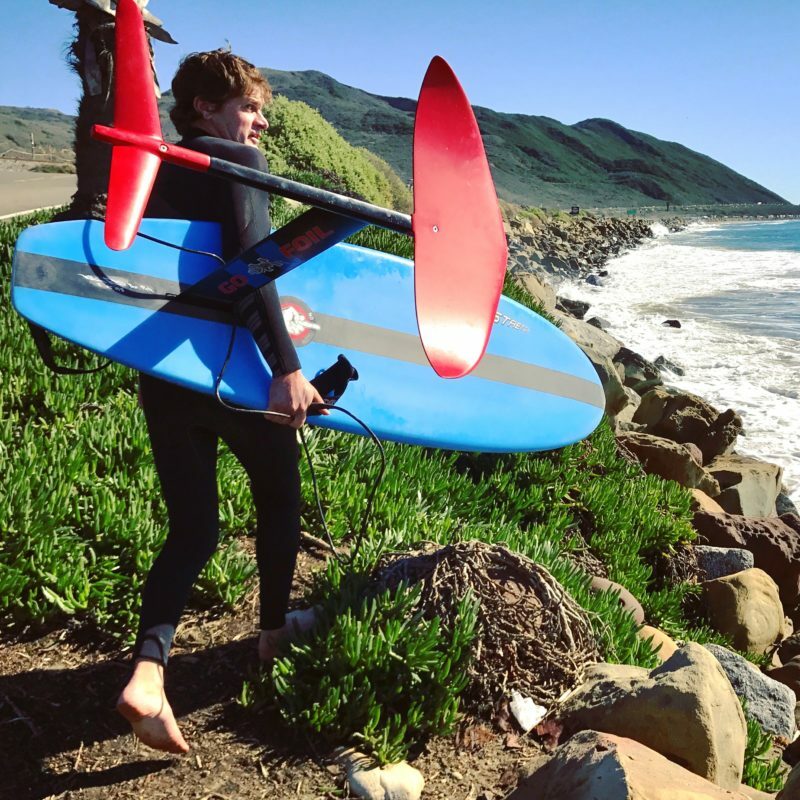 Perhaps a slightly shorter/wider version might be the perfect adjustment in the small to medium sized waves category if you are primarily a conventional “shortboard” type surfer. Check out the Stretch Boards webstore for available stock 2×4 models or contact orders@stretchboards.com to get started on a new custom! Exactly the same construction as the previous Thing v2 round pin, CFT std with marko EPS, bamboo stringer, 6oz. RWG bottom and deck with 4oz. bias S-glass and carbon tail strips. 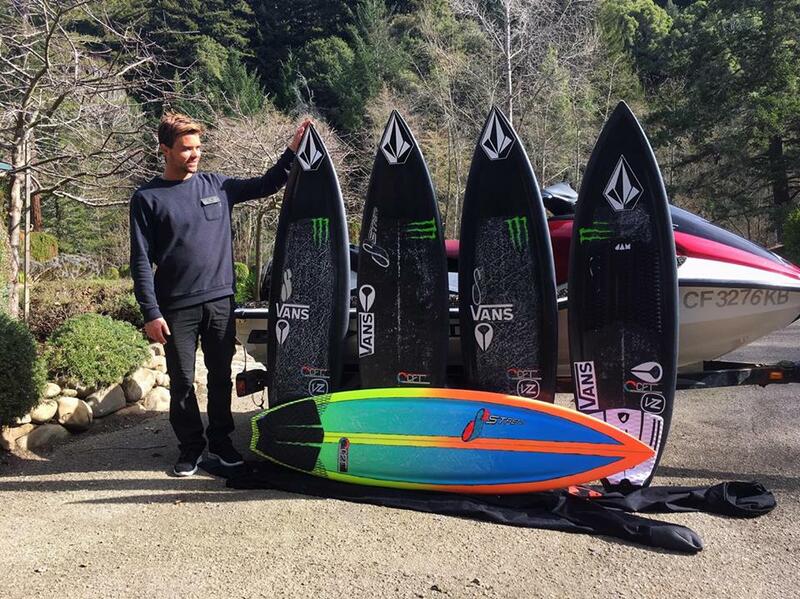 Perennial waterman Peter Trow floats along with his custom Stretch foilboard. 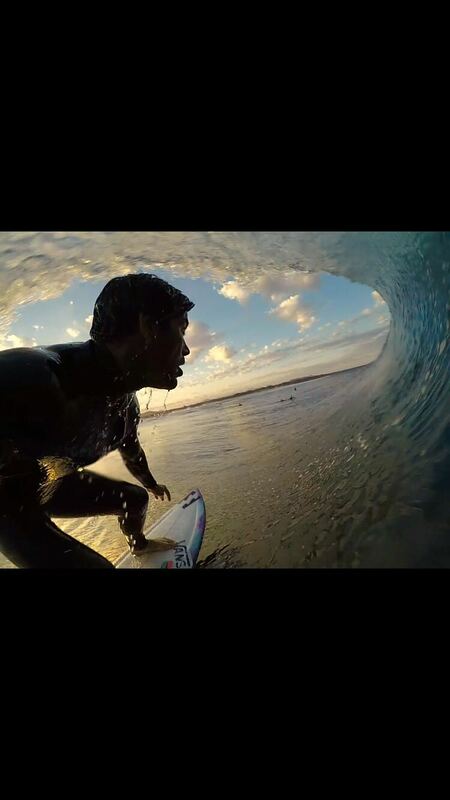 Hydrofoil Surfing with Peter Trow from Ian Boyd on Vimeo. So…. what exactly are Stretch and Pete putting together? EPS/EPOXY light construction with stringerless 2.1pcf Marko foam blank and some carbon treatment. Tuttle box mates a Go Foil Kai model. 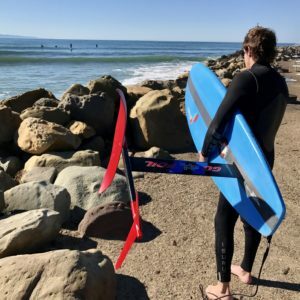 You may recall Pete’s previous foray into foiling when he teamed up with Stretch on a kite foilboard a little over a year ago. When the wind isn’t blowing and the swell is building, it’s pretty funny to hear him tell me that he’s amping for the waves to get crappy so he can go surf!